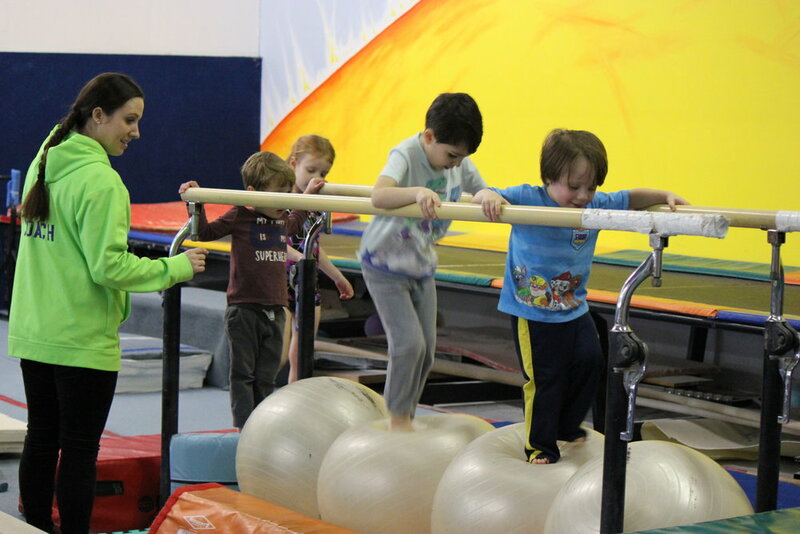 Skymax Gymnastics is dedicated to providing a safe and enjoyable environment where children of varying ages and abilities may pursue and strengthen their love for gymnastics. We emphasize helping children reach their highest potential, and provide a low student to teacher ratio to ensure all our gymnasts receive the direction they need to succeed. Skymax offers a variety of classes for every skill level. From beginners to more competitive classes, we have something for everyone. View our class page and learn more about what we have to offer.